The best day of your life. With us. Congratulations on your engagement and thank you for considering our team of Sioux Falls Wedding DJs for your upcoming celebration. We specialize in creating incredible celebrations for the most discerning couples and families. Every year our Award Winning team at Pinnacle Productions is trusted by over 120 couples to help design and execute their dream wedding reception. All of our DJ & MC packages include up to 8 hours of music, professional audio system and wireless microphone, computer operated dance floor lighting, online planning and personalized meetings at our office. 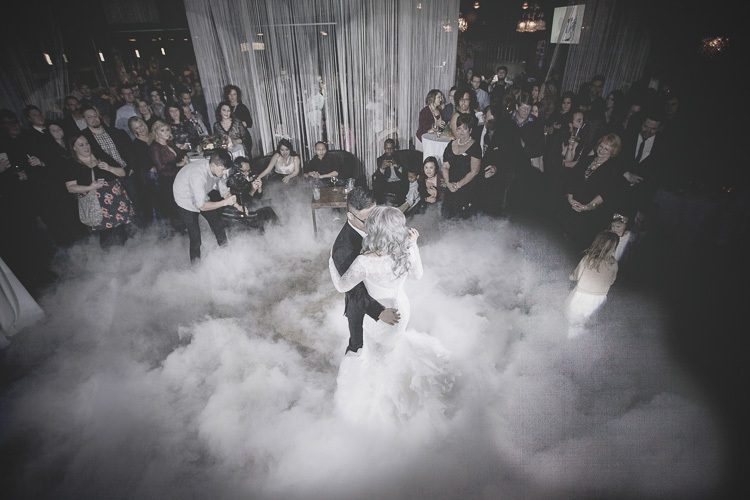 Led by DJ Chris Hintz and DJ Kor we have a talent pool of wedding entertainers who are sought after across the nation. 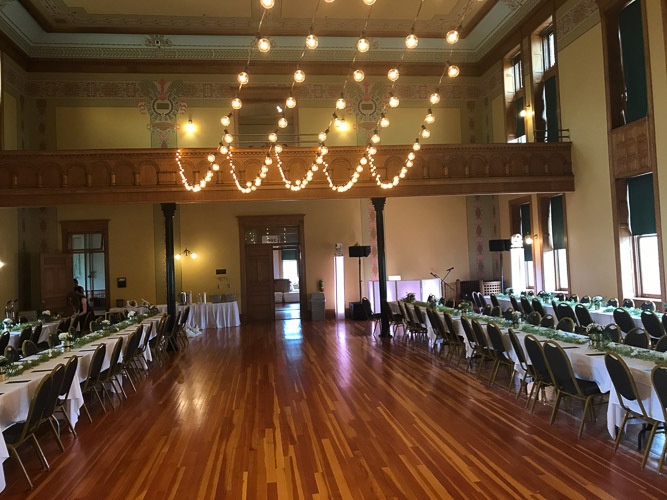 We offer packages designed for indoor and outdoor wedding ceremonies that includes a professional audio system, microphones, music & coordination with musicians and the officiant. We embrace the newest lighting technology to create remarkable venue transformations. Including uplighting, monograms, textures, animated backdrops, bistro lighting, pinspots, tent lighting & more. Our video division of our company, PINstudios, specializes in wedding films and love stories. Photo Booths are a fun and engaging way to entertain your guests and capture memories that will last a lifetime. Our newest photo booth "The Magic Mirror" is unlike any other in the market! We truly care. We care about your story together as a couple. 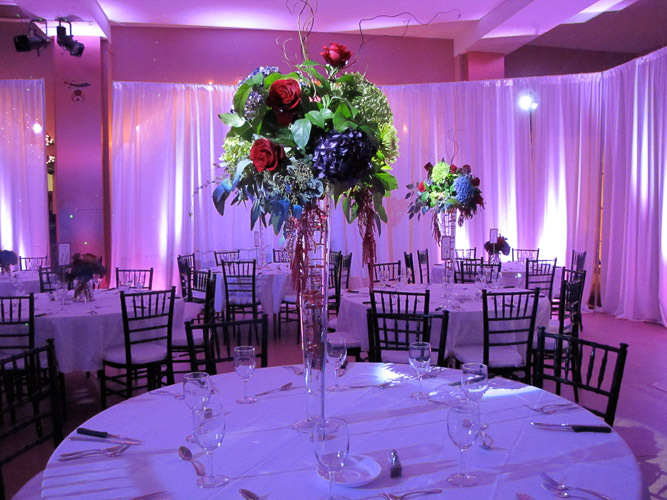 We care about your vision for your wedding reception. We care about your guests. We will take the time to meet with you and listen – and together we can create a wedding reception that is 100% unique to you, your families and your guests. 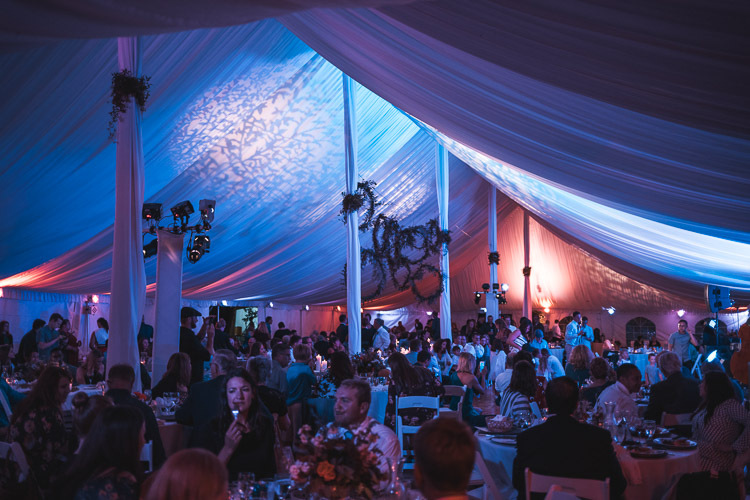 Our decades of experience allows us to offer insight into helping you create your own unique and memorable wedding reception. Our online client portal allows for efficient and thorough planning. From assisting you in choosing other vendors to developing a timeline – we’re here to help! All of our entertainers are versed in being charismatic Master of Ceremonies. We’re trained in making clear, concise and thoughtful announcements throughout the evening and remain active coordinating the event’s intricacies behind the scenes. We’ll keep your guests engaged and having fun without making ourselves the center of attention. Maintaining a consistent flow at your wedding is imperative to keeping your guests entertained and energy levels in the room high. We are hands-on in coordinating with all of the other vendors and VIPs to ensure the event flows efficiently from start to finish. At the heart of what we do is play music. Great music. Our team of DJs take a very unique approach to how we select, program, and mix our music. We hate the phrase “club style DJs” because of the connotations – but our advanced skill set of mixing music truly helps create a heightened dance floor energy unlike any other company in the region. From the appearance of our audio and lighting equipment to the attire we wear – we always place an emphasis on being neat, clean and aesthetically pleasing. Equipment in itself doesn’t create a spectacular event, but poor equipment sure can ruin one. All of our wedding systems are equipped with quality speakers, modern intelligent lighting and most importantly great microphones. Starting at $1,995 - All packages include 8 Hours of music, audio system, computer operated dance floor lighting, online planning & in-person consultations. Share the story of your day. Timeless stories of love by our team at PINstudios starting at $2,495. All of our wedding film packages are focused on telling the unique story of your wedding day. Each package includes two cinematographers to capture every detail, angle and moment. There are no time constraints on your package. We’ll arrive early as you get ready and depart the reception once we’ve captured the shots we need to fully compose your wedding film. Starting at only $795 when booked with a DJ package. Expand the titles below to learn about our two types of photo booths. Our modern take on the “classic photo booth”. Sleek mirror and white finish with a high quality DSLR camera and ring flash for incredible photos. Includes: 4 hours of operation, custom template design, unlimited on-site prints, edited digital copies, backdrop + lighting & on-site booth attendant. Our Magic Mirror utilizes the latest technology for a truly engaging photo taking experience with interactive animations and digital signing of photos. Equipped with a high quality DSLR camera and external flash for awesome 4x6 photo prints. We offer a variety of lighting, decor & special effects.